I'm so excited to finally share my Sloops quilt. 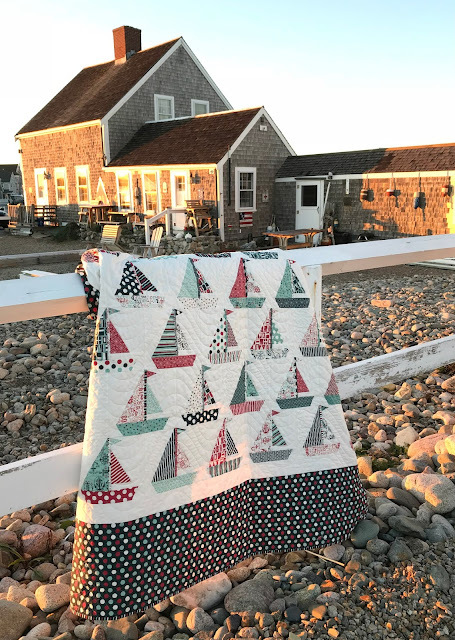 I pieced this back in 2015 and then quilted it this spring as part of my whirlwind wrap up before Laurena sold her longarm rental business but I kept waiting and waiting to visit the perfect waterfront local for my photoshoot. 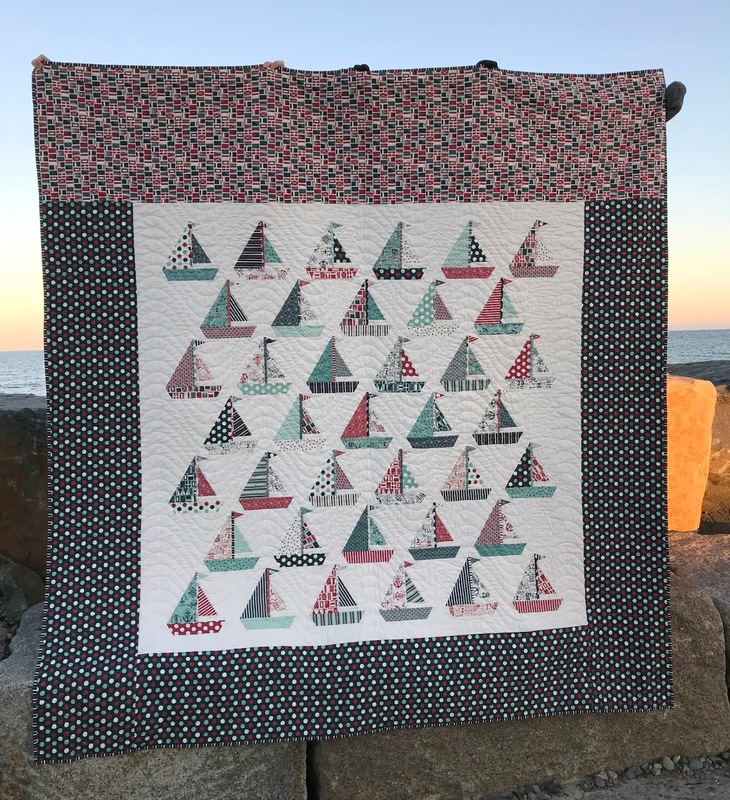 With the end of the year rapidly approaching I dragged it along on this year's Camp Stitchuate trip and finally got my pics. 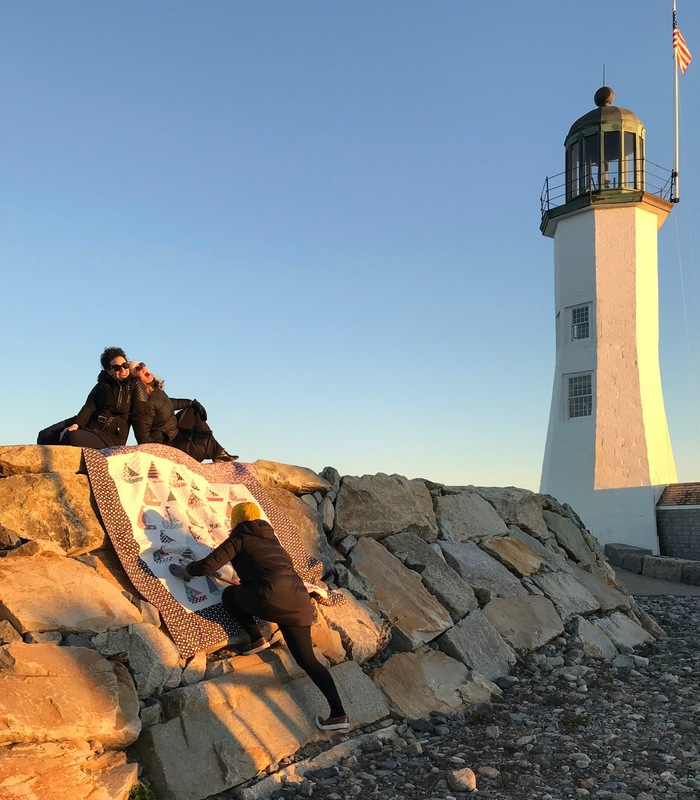 I wanted everything to be perfect so in the magic hour before sunset we took a break from sewing and headed down to the lighthouse. Don't be fooled by those laughing faces, it was bitterly cold and windy and this quilt is huge so wrestling it into submission was a challenge. I have the most amazing friends!!! 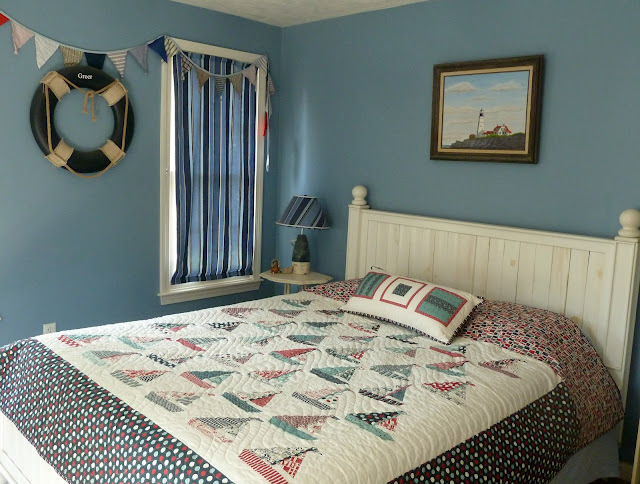 The unequal borders look a bit strange when you see this hanging but unlike most of my quilts this one was actually designed to go on a bed. It works perfectly with Dex's bed with plenty of length for a pillow tuck and to cover the bed frame. And you know how I love a striped binding! Ready to sail off into the sunset with this week's Finish it Up Friday by Crazy Mom Quilts. Finished quilt is 88" x 92"
Pattern: Sloops by Frivolous Necessity. 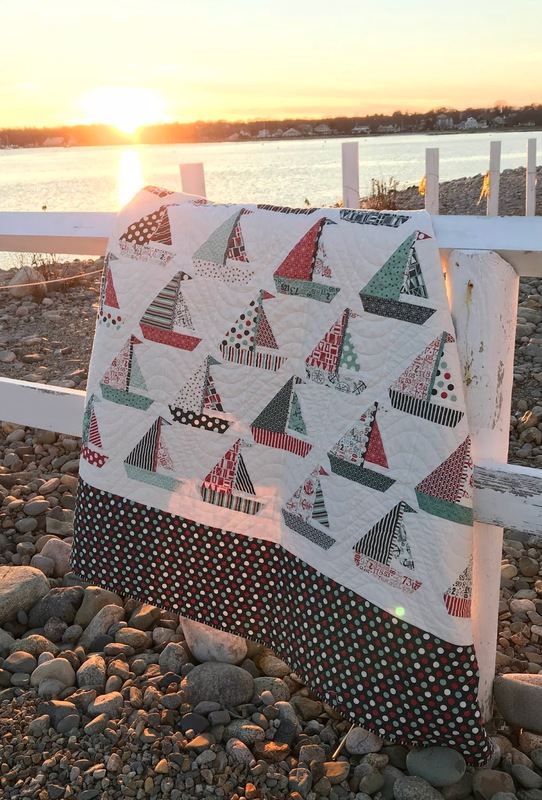 Fabrics: Boat House by Sweetwater for Moda. Kona Snow. Thread: Superior Threads King Tut in Papyrus (972). 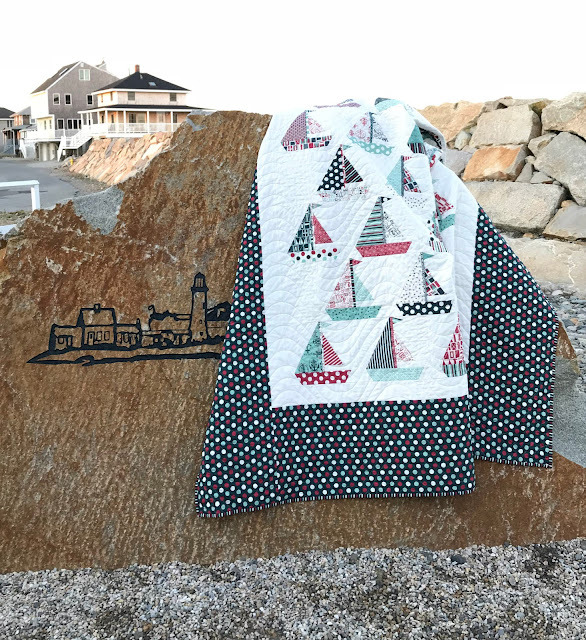 Quilting: Serpentine by Anita Shackelford.